I have been training at the Texas Defense Academy for about a year and a half, now. I was initially drawn to the Combat Submission Wrestling (CSW) program, as they are the only affiliate school in the DFW area. My former school had closed, and I was looking for a new place to train and develop new skill sets. I am always hesitant to attend new schools….I have been to some that have a “throw you to the wolves” mentality, and I have been to schools where I was essentially a punching bag for the black belts in the class. I also despise the egos you encounter in some martial arts schools, so I am very cautious before laying down my money for training.All this to say that if you are anything like me, you will find the Texas Defense Academy to be NOTHING like those types of schools. From the first day, Edwin, Bryan, Michael and Terry made me feel very welcome. There are absolutely no egos among the trainers or the students. Everyone is there to learn, and to have a good time doing it. Some of my training partners have become very good friends to me, as have the instructors themselves. As for the CSW program itself, I can absolutely say that the training does not disappoint. The program is top-notch, and I have learned a great deal about grappling in the last year and a half. I enjoy the fact that the program is street oriented….while it can certainly be modified or used for competition, the FOCUS at the TDA is on using your skills in a real-life, violent encounter. 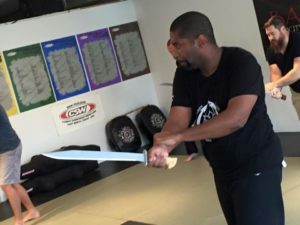 Since coming on board, I have also added Pekiti Tersia Kali to my training schedule, which is another system I have always wanted to study, due to the focus on blade work. Regardless of your reason for being there, or the type of training you are seeking, there is likely a program for you at the TDA. The B3 class is very popular, with a great emphasis on close quarter striking. CSW is an excellent grappling program, and PTK-SMF is a premier weapons art. Also, Bryan runs a great fitness class twice a week, and will be happy to make you sweat and burn off some calories if that’s what you would like to focus on. Lastly, I have been exposed to a lot of different schools over the years. The TDA is the one that has provided me the best opportunity to train real world skills, with like minded people, in a positive environment. I would not have stayed had it been otherwise, and I encourage you to check it out. I’ve been going to TDA for almost a year now and it’s been great! 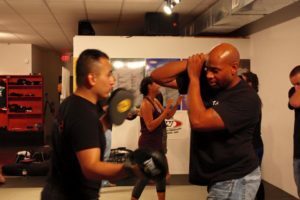 I had always wanted to join a self defense class but have always struggled to find a place that cared about people as individuals or charged an arm and a leg. Edwin was on the phone with me for almost an hour talking with me about what the classes were about and that helped me feel really comfortable showing up to class that first day. Originally I had just planned on taking their B3 course but Edwin and Bryan (the wrestling instructor) encouraged me to stay for the CSW class (for free) to see if it would be something I was interested in. I stayed and ended up signing up for two classes instead of one. Both instructors are very knowledgeable and understanding to each students individual needs. Nobody there was trying to prove how skilled they were and show off to the new people, none of it was overwhelming, which was one of my concerns as a female student. I’m approaching my first year mark as a student and I’m counting on reaching my second, third, etc years.I literally drive 100 miles round trip to attend class at Texas Defense Academy! 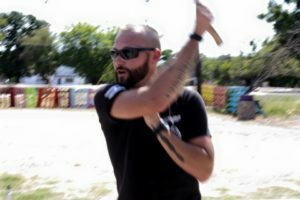 I came to TDA and the 1st PTK-SMF class as a guy in his mid-40’s, with no prior martial arts experience, and left-handed, (PTK-SMF works both side/hands, though it’s primarily taught right-handed). Edwin and Michael do a phenomenal job of instructing this very technical and devastatingly effective combat martial art. There are no inflated egos so questions are welcomed and they unpack every move and explain “the why” which cements the lesson and positions you for success. This approach to training reflects the overall culture at TDA that also translates to the other students. There’s such camaraderie among us fellow students who are happy to help each other keep our forms and technique clean and intense! If you’ve done any research into martial arts you’ve heard about how “practical” one martial art is versus the other. PTK-SMF is official martial arts combat system of the Philippine Marine Corps and is used on the battlefield today! So I would advise anyone looking to learn a proven combat system to come check out a class! You won’t find a school where the instructors are more knowledgeable or care more about each student. They make the information understandable and fun, and are always willing to go the extra mile to ensure each person is best able to defend themselves. 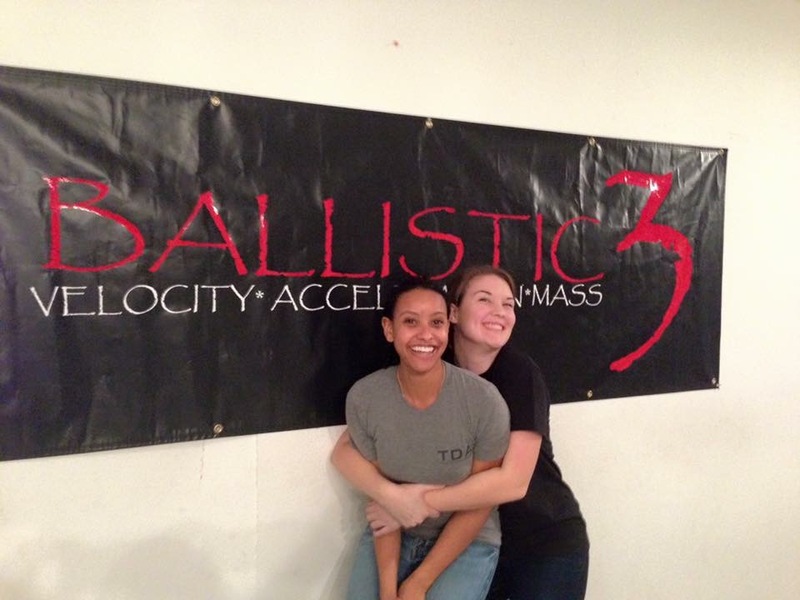 I’ve been attending Ballistic 3 and CSW for about 8 months and I have learned an extraordinary amount and feel a thousand times more capable of defending myself in a wide variety of situations. The classes do not merely consist of your run-of-the-mill self defense tactics such as pepper spraying, kicking in the groin, and stabbing eyes; rather, they equip you to actually be able to FIGHT and be constantly moving to increase your chance of survival. Any situation imaginable–including ground fights, use of weapons, attacks from all angles and multiple opponents, attacks whlie seated or in a car, on varying terrains, from opponents of all sizes–is covered and the instructors do a great job of including the techniques YOU want to cover. And besides being informative, the classes are a great workout and just plain fun. I traveled to Africa recently and the instructors dedicated an entire class to going over anything I needed to know to be able to defend myself overseas. This included equipping me with a small flashlight that I could use in multiple ways as a weapon, as well as ensuring I knew how to use it well before I left. They also let me choose the techniques to work on during the class so I could feel as confident and ready as possible. This is just one example of how the instructors go above and beyond, because they truly care! I would highly recommend this school for ANYONE, from someone just wanting to feel safe in any environment to those wanting to learn and practice combat wrestling or weapon skills. As a Instructor in Self Defense and Personal Protection I travel a bit to train with who I hope will add valuable knowledge to my skillsets. TDA is one that I just keep revisiting time and again! The programs there are excellent and a personal favorite is the Ballistic 3 classes. I feel the training the next day every time! I am not the 5 star giving type just because someone was nice or the place was clean (which TDA is) I need to feel like I got what I was looking for and they nailed it every single time I train with them. Trust me, If you are looking for practical, not pretty realistic training then this is it. 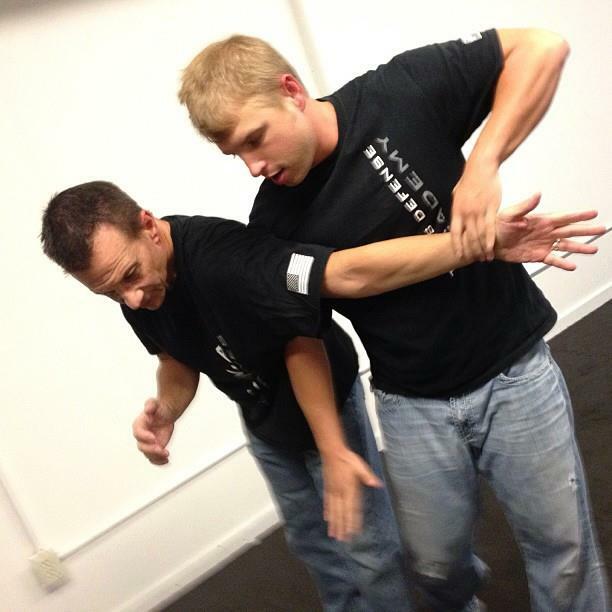 If you are looking for a bridge to learn self defense, TDA is the place to be. For me, the fresh approach to MMA and their style is huge improvement to what I seem and done before. In an effort to untangle itself from karate, mma and jujitsu, TDA force you to think outside the box with self defenses tactics that you really can use in a real world situation. TDA instructors they’re knowledgeable and they really know their products turn-by-turn, the view of TDA is to teach the average Joe to become TOPS predator not the pray with intense hands on training that is second to none. So if you want to learn or are serious about learning self defense that make a difference go to TDA. This place is great!!! I would rate it 10 on scale of 1 to 5. It has a family atmosphere and all the instructors make sure you feel welcomed and understand everything that is being taught. Edwin exhibits exhilaration and skillfulness, Brian is humorous and has great intellect and Michael is a good mix of being clever and sportive. This is the make up of a dream team. Regardless if your a beginner or a well seasoned veteran, you will be able to apply these techniques to your everyday life. So stop on by and give us a try. I promise you it’s a decision you won’t regret. I found TDA from the YouTube video that was posted for Keysi Fighting. My daughter loves Batman and watches the movies often. There is a You Tube video that shows Batman using the Keysi Fight Method. Once she bugged me enough I decided to give it a try. Once I tried a class I found a style that I really liked a lot. This is a very down to earth approach to self defense. I felt like walking out the door that first day I had tools or tricks up my sleeve to defend myself. I knew that what I learned would work and very effectively. The most important thing I could share is, it is the same for my Daughter and my son. What we are learning is usable and effective right away! No need for Katas or dance routines. No need for years of study. My kids can learn things tonight or the next class that they can use to stay safe. That is what is so amazing about all of this. The staff treats us great. They are very helpful. They are greatful to have us as students and I just believe that they care about us. All I can really say is you got to try it. I really believe once you do you will be hooked! I first started training at Texas Defense Academy when I was between second and third grades. Before coming to the academy, the only thing that held my attention was Minecraft and my other computer games, so my dad wanted us to join a tactical defense academy together. I am now going to fourth grade, and I am so happy to be a part of this awesome group. The instructors at TDA take the time to teach everyone, even the younger members. We all do the same drills, no matter what age we are. We go hard and are accountable to each other. Each day I learn new and better ways to protect myself in case I encounter bullies or people who want to hurt me or my family. Also, the classes are teaching me to be more confident, to be aware of my surroundings, and to respect other people. I’ve been taking classes at the Texas Defense Academy for about a month now. 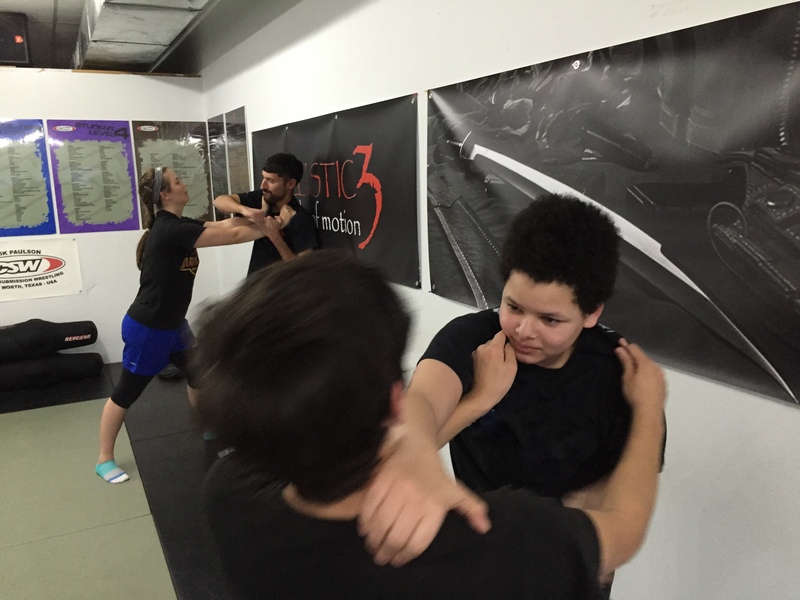 I would like to show my sincerest gratitude by providing my testimonial for your use.”About a month and a half ago, I began looking for self defense classes that would suit my ability and needs. 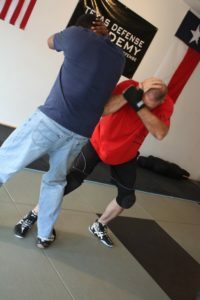 After taking two free class sessions of Krav Maga and two sessions of ACWA based self defense techniques taught at the Texas Defense Academy, I found that the mindset at TDA is easier to grasp, quicker to learn and apply, and seemingly adaptable to any level of fitness and ability. Initially, I was looking for techniques that would help me deploy my concealed carry weapon as my first line of defense. What I found at TDA is that my body with consistent training can be considered my first line of defense and my concealed carry weapon as my last resort. 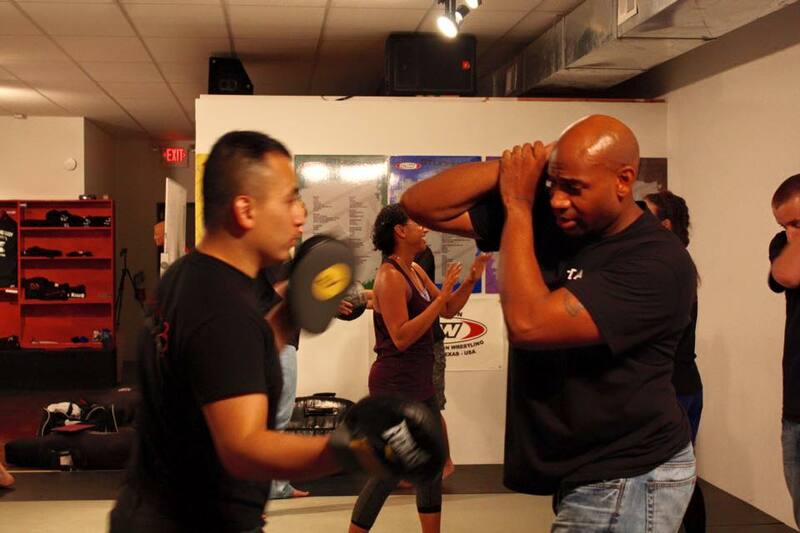 Texas Defense Academy is an absolutely great place to train for self-defense. I have been involved with martial arts training since 1978. I have acquiredblack belts in Shorin-ryu and Shorinje-kempo, and have also worked out with many martial artists from various martial arts backgrounds. Although I have a high degree of respect for all styles of martial arts, it is my opinion that Texas Defense Academy teaches the most efficient and effective form of self-defense. They do a fantastic job of blending covering, striking, kicking, takedowns, ground fighting, escapes, multiple opponent defense, weapon defense, and survival mindset as well as any school around. Also, I really respect and appreciate the instructors and how well they treat their clients. Terry, Bryan, Edwin, and Michael are all great instructors. They welcome and treat everyone with respect. They leave their egos at the door and work diligently with everyone who comes to train with our class. They truly care about teaching all students how to protect themselves and stay safe in our world today. I also like the fact that I get to train with my son and the instructors make everyone feel we are all part of the Texas Defense Academy family. TDA has been a great asset to my life. It’s very effective and practical and I leave every lesson able to take something away and apply to what I’ve already learned. Everyone is very friendly and helpful and willing to aid in understanding each concept and tactic. Joining the Texas Defense Academy team is one of the best decisions I’ve ever made to help improve my life and confidence. Growing up through school with the threats of bullies and fearing for your personal safety was tough, and despite the couple years experience I had in karate, I still felt largely unconfident in my ability to defend myself. This changed significantly last summer when I decided to join the Texas Defense Academy. Right from the very beginning, all the instructors were encouraging and helpful, and I honestly feel like I learned more in the short 2 months of attendance here than I had in the 2 years of experience in Tae Kwon Do. The academy taught me techniques and actions that work well with me (not some forced routine some other academies will force on you), and they are helping me break bad habits I formed from my karate experience (which could end up getting you badly hurt). This class is not focused on competitions, trophies, ranks, or any of that stuff, but rather on getting you home safe every night and making sure you will be the one to walk away from a confrontation. I highly recommend this place to anyone interested in learning self defense! I would give this place 6 stars if I could! Hands down, this school is amazing! The instructors are all wonderful and incredibly knowledgeable! The other students quickl y become friends; from day one I felt welcomed! The vast amount of knowledge at this school is mind blowing (which is often how my brain feels at the end of each class) but every time I come back, I feel stronger and better! Check this place out! It is well worth a visit!